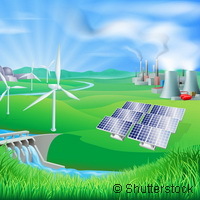 A network of small power plants capable of replacing traditional power stations has long been the dream of proponents of renewable energy. The idea, however, has always foundered on concerns over whether a decentralised network could meet national energy demands and provide a stable service while dealing with such huge capacities. Now, a team of European researchers have taken a giant step towards making this dream a reality with the Combined Power Plant 2 (Kombikraftwerk2) project.